Congratulations on completing the To The Zoo, WooHoo! Reader’s Quiz! Now you can check the answers AND learn some more about the story! 2. What does City throw for the chimps to eat? 4. Which flavour ice cream does Julia land in? 5. What is the tallest animal the friends see at the zoo? 6. How many meerkats can you see? 7. Where do the friends go for lunch? 8. What does Eumundi have for lunch at the zoo? 9. What wise advice does the falcon give the friends? b. Embrace who you are … “You need to find out what you’re good at. Don’t try to copy me. Embrace who you are, my young friend, and that’s when you will be the happiest.” Chicky wanted to fly like the falcon, but he knows chickens can’t do that – they are designed differently. Each of us need to find out what we are good at and be the best we can be at that! 10. How many paw tracks are on the map? 11. Why is it important that you don’t feed any animals while you are at the zoo (unless a zookeeper gives you the food)? Animals need a very specific diet, and are fed the highest quality food. If people feed the animals at zoos, it can make the animals very sick. These days there are often opportunities at the zoo where you can feed and pat the animals under the supervision of the zoo keepers. If you do this, then the animals will stay well and you can have some up-close time with the animals! Otherwise watching them is really fun anyway! 12. What does it mean to ‘embrace who you are’? Everybody is unique! We each bring our own gifts, talents, ideas and abilities to this world. Embracing who you are is when you really accept who you are – all the amazing things (and not so amazing things) and then build on your strengths, instead of trying to be something you are not. 13. Why is that important? When you do this, you can be truly happy, and bring something special for others to share and enjoy! … AND you will be what you are meant to be, which can be so fun and fulfilling! 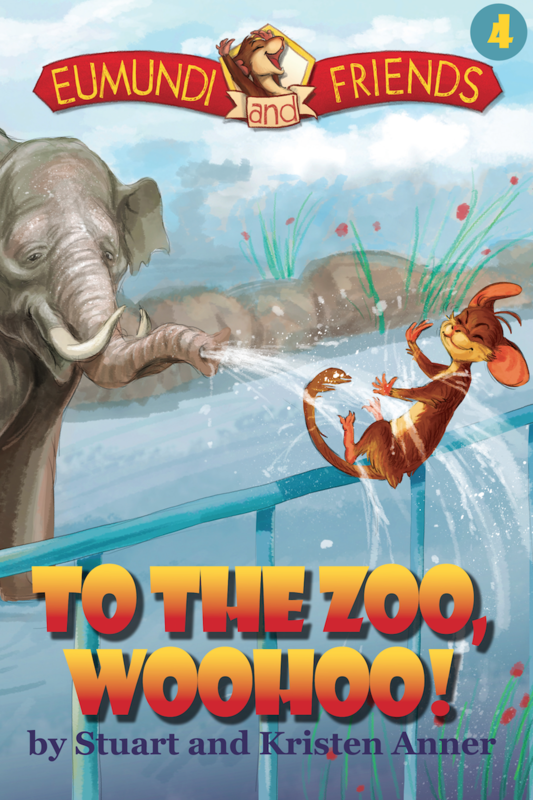 Did you leave a review for To The Zoo, WooHoo! yet? Thanks for taking our To The Zoo, WooHoo! Reader’s Quiz!! We hope you had fun and learned something new!